Red Dead Online beta players can now jump on horseback for the new Target Racing mode. PS4 players get access to the Open Target Racing variant early. If you've wrapped up your single-player run through Red Dead Redemption 2, a constantly-evolving Red Dead Online multiplayer experience awaits you. 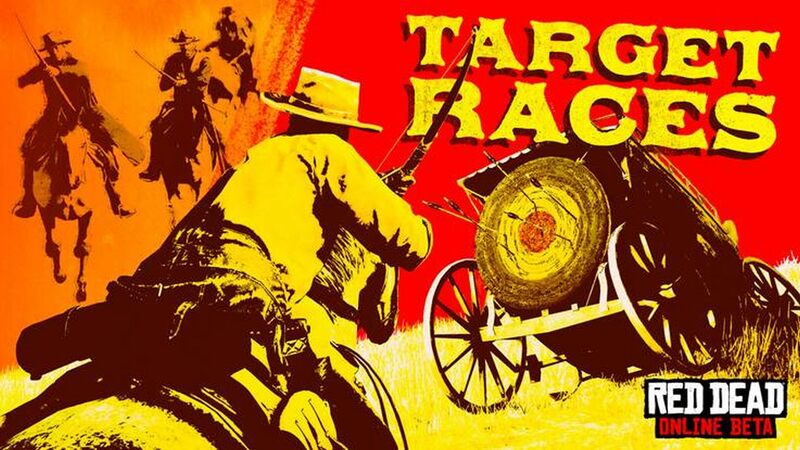 The most recent updates to the RDO beta are Target Races and PS4 players get access to Open Target Races. Red Dead Online is in beta and Rockstar continues to tinker while adding various new experiences and changes as players attempt to pave their way in the online frontier. Target Races is a mode where players have to shoot targets while on horseback while also racing through checkpoints. All players will start out with bow and arrow and each target hit raises the stamina of the horse. There are also some pickups along the course. Stamina pickups give you more time to push the horse to its highest speed and weapon pickups give you a better arsenal to hit the targets with. 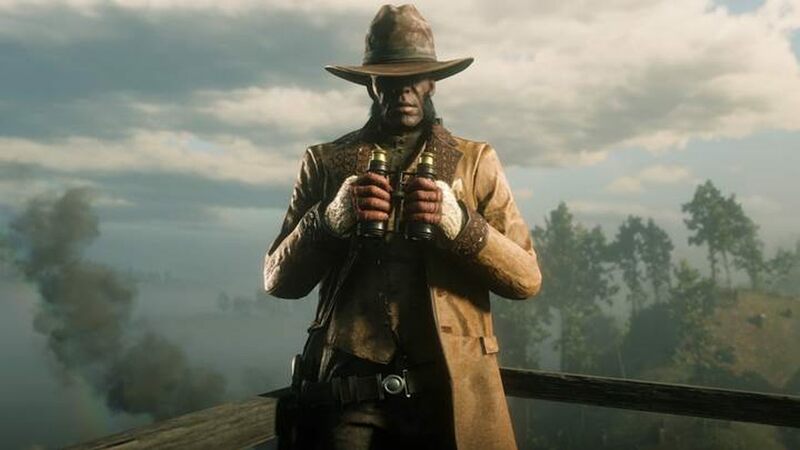 Before digging in even further, you can also read up on the new Red Dead Online beta hostility system. While doing Target Races, auto-lock works on the checkpoint targets. If you want to hit other players and slow down their progress, you have to use free aim. You can also ride your horse in your opponent's slipstream to increase your speed. You can even kick your opponent's horses to slow them down with a slight chance to knock them over completely. PS4 users get access to Open Target Races early and these feature open spaces instead of a course to follow. Players will need to use the mini-map to spot where the targets are, but also do so while paying attention to opponent progress. In addition to this new mode, as per usual, there's a new collection of discounts to take advantage of in this Red Dead Online beta update. In celebration of the new mode, there's 25% off Improved Saddles for the horses. There are also four new additions to the cosmetic ecosystem: Morning Tail Coat, Strickland Boots, Bowyer Boots (female only), and Furred Gloves. Last but not least, there's a 20% boost on all XP earning activities. The Red Dead Online beta can be access via Red Dead Redemption 2, which is available on PC, Xbox One, and PS4. PlayStation players get access to some content early, like the Open variation on the Target Races. Stay tuned to Shacknews for additional gaming and tech updates. How's this MP stuff going? Doesn't seem very popular. It's a test to see if we're reading.